Just like Louise Belcher’s, your mind is an intricate, dangerous scheme-making machine. So how do you hide that deranged genius from your family and everyone at school? Louise Belcher cleverly disguises––or at least distracts––from her penchant for mania and mayhem with something pink, cute and non-threatening to offset her other qualities. 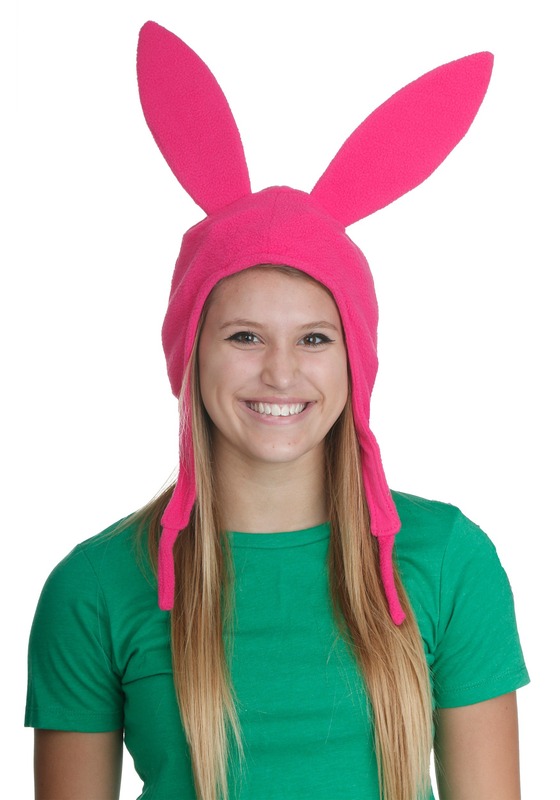 This Bob’s Burgers Louise Hat has pink bunny ears, just like the one Louise wears. It gives you the look of a sweet, innocent little girl, while in actuality you’re plotting the alarmingly gruesome downfall of all your enemies! Perfect for helping Bob out in the restaurant, getting your older sister Tina out of her shell, bossing your disgusting older brother Gene around, or just hanging out with Tammy Larsen and Jimmy Pesto Jr., you’ll be ready for anything Louise-like in this hat. Guard your Kuchi Kopi nightlight vigorously. Curse, threaten those around you, and generally be a source of mayhem––carry on like you should be shocking the neighborhood and still be treated like a sweet little girl! That’s the perk of wearing pink bunny ears. A little green dress and Mary Jane shoes will help. So will being a little girl. But these bunny ears will get you most of the way there, we promise! I smell fear on you.. The hat fits perfectly and the ears don't flop at all! This will go perfectly with the dress I'm getting for my costume! The hat is the perfect accessory when you're in charge of Princess Little Piddles, you have great taste!